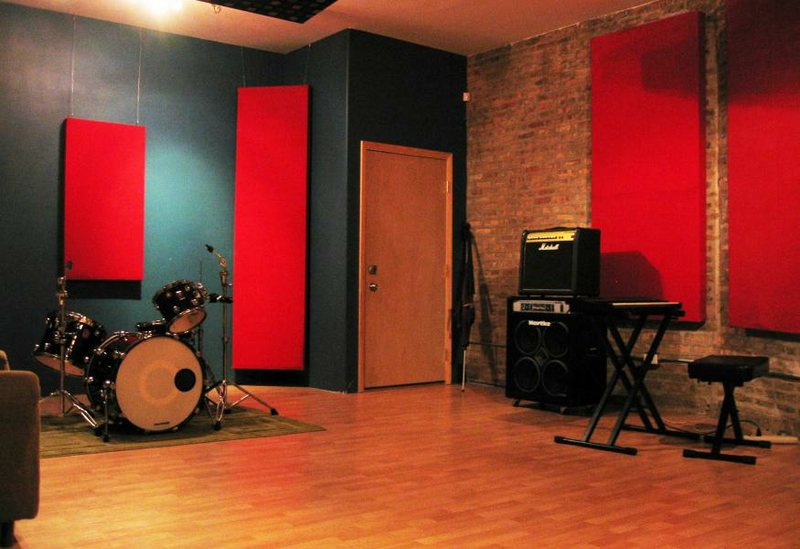 Soapbox Music Soapbox Music | Co-operative recording and rehearsal studio in Chicago, IL. Our mission is to build high quality resources for musicians. Join a group of creative musicians! Learn more about our studio membership and current availability. A comfortable environment that melts away distractions and focuses your creative mind. Sometimes a place just feels right, and that can make all the difference. 100% private, acoustically treated, ultra-quiet music space with well-maintained gear. There are no neighboring bands and no distractions of any kind. You will be the only musicians in the building and you'll hear the difference. Slapback and flutter echoes make it almost impossible to hear yourself and other musicians with clarity. Our rooms are acoustically treated to improve the bass response and eliminate undesirable echoes.